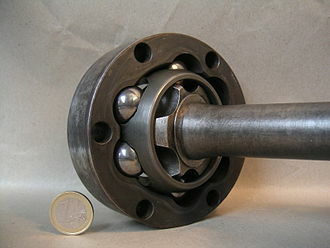 A Panhard rod (also called Panhard bar, track bar, or track rod) is a suspension link that provides lateral location of the axle. Originally invented by the Panhard automobile company of France in the early twentieth century, this device has been widely used ever since. While the purpose of automobile suspension is to let the wheels move vertically with respect to the body, it is undesirable to allow them to move forward and backwards (longitudinally), or side to side (laterally). The Panhard rod prevents lateral movement. 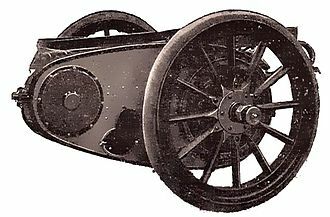 The Panhard bar is a simple device, consisting of a rigid bar running sideways in the same plane as the axle, connecting one end of the axle to the car body or chassis on the opposite side of the vehicle. The bar attaches on either end with pivots that let it swivel upwards and downwards only, so that the axle can move in the vertical plane only. This does not effectively locate the axle longitudinally, therefore it is usually used in conjunction with trailing arms that stabilize the axle in the longitudinal direction. This arrangement is not usually used with a leaf spring suspension, where the springs themselves supply enough lateral rigidity, but only with coil spring suspensions. However, Ford used a similar connected rear axle damper (5th shock) on some Explorers and light trucks with rear leaf springs. The advantage of the Panhard rod is its simplicity. Its major disadvantage is that the axle must necessarily move in an arc relative to the body, with the radius equal to the length of the Panhard rod. If the rod is too short, it allows excessive sideways movement between the axle and the body at the ends of the spring travel. Therefore, the Panhard rod is less desirable on smaller cars than larger ones. A suspension design that is similar but dramatically reduces the sideways component of the axle's vertical travel is Watt's linkage. Some vehicles with live-axle suspensions, where Watt's linkage is not an option, e.g. 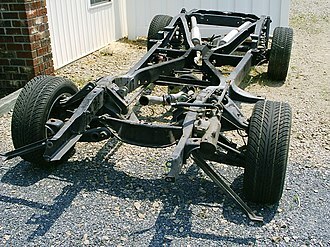 a number of Land Rover models use a Panhard rod as a component of the front suspension. The Mercedes G-class was redesigned in 2018 to include a Panhard rod on the real axle to improve its on-road handling characteristics. The rim is the outer edge of a wheel, holding the tire. It makes up the circular design of the wheel on which the inside edge of the tire is mounted on vehicles such as automobiles. 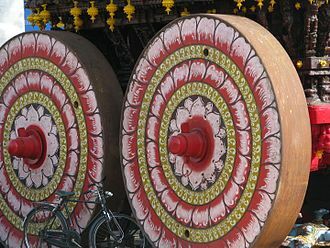 For example, on a wheel the rim is a large hoop attached to the outer ends of the spokes of the wheel that holds the tire. 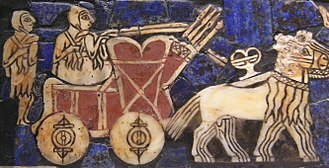 The term rim is used non-technically to refer to the entire wheel, in the 1st millennium BC an iron rim was introduced around the wooden wheels of chariots. Diameter, distance between the seats, as measured in the plane of the rim and through the axis of the hub which is or will be attached. Width, separation distance between opposed rim flanges, the flange-to-flange width of a rim should be a minimum of three-quarters of the tire section width. And the maximum rim width should be equal to the width of the tire tread, Depends on the type of vehicle and tire. There are various rim profiles, as well as the number of rim components, modern passenger vehicles and tubeless tires typically use one-piece rims with a safety rim profile. Heavy vehicles and some trucks may have a removable multi-piece rim assembly consisting of a base that mounts to the wheel and they have either a side ring or a side and lock ring combination. These parts are removable from one side for tire mounting, while the opposite side attached to the base has a fixed flange, oversized rims may cause the tire to rub on the body or suspension components while turning. Overly narrow rims in relation to the width may cause poor handling as the tire may distort sideways under fast cornering. On motorcycles, a narrow rim will alter the tire profile, concentrating tire wear in a small area during cornering. On bicycles, the tire width is approximately twice the rims internal width or one-and-a-half times the rims external width. A standard automotive steel wheel rim is made from a sheet metal. The metal plate is bent to produce a cylindrical sleeve with the two edges of the sleeve welded together. To support the rim structure, a disc is made by stamping a metal plate. The Mazda MPV is a minivan manufactured by Mazda. Introduced in 1988 as a model with optional selectable four-wheel drive. Over one million MPV models were produced since its introduction, the MPV was designed from the ground-up as a minivan specifically for the American market, and was introduced in 1988 for the 1989 model year. It was based on the large rear-wheel-drive Luces HC and it would be called the LV platform, and this larger platform allowed such options as a V6 engine, and optional four-wheel drive. However this large platform created some liabilities in other markets and it was available at Mazdas Japanese luxury dealership network ɛ̃fini starting in 1991. Its selectable 4WD system is not to be confused with all road conditions all-wheel-drive systems, a dash mounted switch controlled the center differential, creating a locked power distributions on the front and rear axles. The 4WD is not for use on dry roads, but can be engaged and disengaged while moving. Like the Honda Odyssey introduced in North America in early 1995, it featured traditional hinged doors instead of sliding rear doors and this was the only Mazda MPV generation with a manual transmission, offered in the 89 through 91 model years. The middle row was available as a 3-person bench, allowing seating for eight, because of the MPVs optional 4WD, the Mazda Navajo version of the Ford Explorer was only offered as a two-door, so as to minimize internal competition. The van was named to Car and Driver magazines Ten Best list for 1990 and 1991, initial sales were strong as well, but rapidly fell off once other makers introduced all-wheel drive and V6 engines. 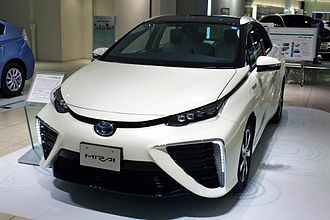 In the years to come, Toyotas 1991 Previa, Nissans 1993 Quest, in 1992 for the 1993 model year, a new Mazda emblem and a remote keyless entry system were introduced. A standard drivers airbag was introduced in early 1993. 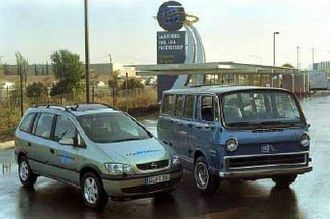 The van was face-lifted in 1995 for the 1996 model year, adding drivers side door, passenger side airbag. While the four-cylinder engine was retired for the American and Canadian markets, it was replaced with a similar, a mild refresh was introduced in 1997 for the 1998 model year with all-sport body cladding and wheel arches, and polished alloy wheels. Mazda discontinued the original MPV after the 1998 model year for North America, the MPV was replaced in June 1999, using the short-wheelbase, front-wheel-drive LW platform. As torque carriers, drive shafts are subject to torsion and shear stress, equivalent to the difference between the input torque and the load. They must therefore be enough to bear the stress, whilst avoiding too much additional weight as that would in turn increase their inertia. The term drive shaft first appeared during the mid 19th century, in Stovers 1861 patent reissue for a planing and matching machine, the term is used to refer to the belt-driven shaft by which the machine is driven. The term is not used in his original patent, another early use of the term occurs in the 1861 patent reissue for the Watkins and Bryson horse-drawn mowing machine. Here, the term refers to the transmitting power from the machines wheels to the gear train that works the cutting mechanism. In the 1890s, the term began to be used in a closer to the modern sense. 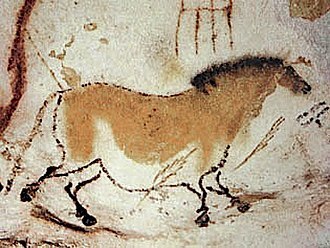 In 1899, Bukey used the term to describe the shaft transmitting power from the wheel to the machinery by a universal joint in his Horse-Power. In the same year, Clark described his Marine Velocipede using the term to refer to the shaft transmitting power through a universal joint to the propeller shaft. 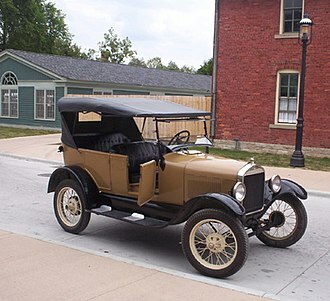 Crompton used the term to refer to the shaft between the transmission of his steam-powered Motor Vehicle of 1903 and the driven axle, an automobile may use a longitudinal shaft to deliver power from an engine/transmission to the other end of the vehicle before it goes to the wheels. 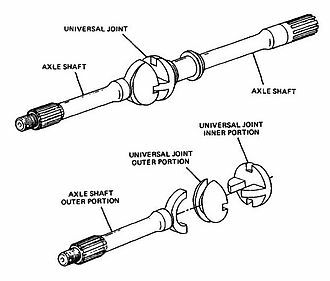 A pair of short drive shafts is commonly used to power from a central differential, transmission. 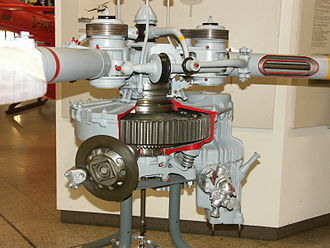 In front-engined, rear-drive vehicles, a drive shaft is required to send power the length of the vehicle. Two forms dominate, The torque tube with a universal joint. This system became known as Système Panhard after the automobile company Panhard et Levassor patented it, most of these vehicles have a clutch and gearbox mounted directly on the engine, with a drive shaft leading to a final drive in the rear axle. When the vehicle is stationary, the drive shaft does not rotate, some vehicles, seeking improved weight balance between front and rear, use a rear-mounted transaxle. This places the clutch and transmission at the rear of the car, in this case the drive shaft rotates continuously with the engine, even when the car is stationary and out of gear. 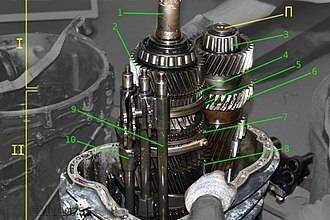 A drive shaft connecting a rear differential to a wheel may be called a half-shaft. A drive wheel is a wheel of a motor vehicle that transmits force, transforming torque into tractive force from the tires to the road, causing the vehicle to move. The powertrain delivers torque to the wheel to overcome stationary forces. A two-wheel drive vehicle has two wheels, typically both at the front or back, while a four-wheel drive has four. A steering wheel is a wheel turns to change the direction of a vehicle. 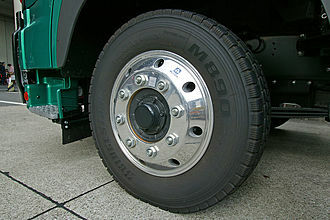 A trailer wheel is one that is neither a drive wheel, front-wheel drive vehicles typically have the rear wheels as trailer wheels. For four-wheeled vehicles, two-wheel drive describes vehicles that transmit torque to at most two road wheels, referred to as either front- or rear-wheel drive, the term 4x2 is used, to indicate four total road-wheels with two being driven. For vehicles that have partial four-wheel drive, the term two-wheel drive refers to the mode when four-wheel drive is deactivated and this configuration allows all four road wheels to receive torque from the power plant simultaneously. It is often used in racing on mostly paved roads. Four-wheel drive is common in vehicles because powering all four wheels provides better control on loose. Four-wheel drive manufacturers have different systems such as High Range 4WD and these systems may provide added features such as varying of torque distribution between axles or varying gear ratios. Common terms for this configuration include four-wheel drive, 4WD, 4x4, front-wheel drive vehicles engines drive the front wheels. 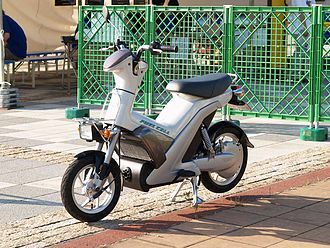 Using the front wheels for delivery of power as well as steering allows the force to act in the same direction as the wheel is pointing. This layout is used in modern passenger cars. A rare example of front wheel drive was the Opperman Motocart and this slow-speed agricultural and light freight vehicle was a tricycle with the front wheel carrying a large tractor tyre. 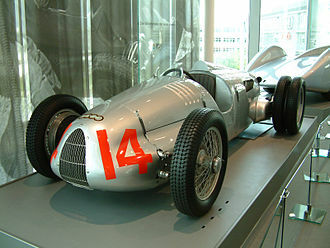 The wheel was powered by a single cylinder Douglas engine carried on the front mono fork that formed the steering gear. See Front-engine, front-wheel drive layout, rear-wheel drive typically places the engine in the front of the vehicle, with a driveshaft running the length of the vehicle to the differential transmission. A continuously variable transmission is an automatic transmission that can change seamlessly through a continuous range of effective gear ratios. This contrasts with other mechanical transmissions that offer a number of gear ratios. The flexibility of a CVT allows the shaft to maintain a constant angular velocity. When power is more important than economy, the ratio of the CVT can be changed to allow the engine to turn at the RPM at which it produces greatest power and this is typically higher than the RPM that achieves peak efficiency. In low-mass low-torque applications a belt-driven CVT offers ease of use, a CVT does not strictly require the presence of a clutch. 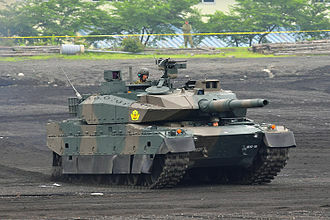 Nevertheless, in vehicles, a centrifugal clutch is added to facilitate a neutral stance. Simple rubber belt CVTs are commonly used in motorized vehicles. Nearly all snowmobiles, utility vehicles, golf carts and motor scooters use CVTs, many small tractors and self-propelled mowers for home and garden use simple rubber belt CVT, though hydrostatic systems are more common. Hydrostatic CVTs are common in small to medium-sized agricultural and earthmoving equipment, Transmission output is varied to control both travel speed and direction. In mowing or harvesting operations a CVT allows the speed of the tractor or combine harvester to be adjusted independently of the engine speed. This allows the operator to slow or accelerate as needed to accommodate variations in thickness of the crop, CVTs have been used in aircraft electrical power generating systems since the 1950s and in Sports Car Club of America Formula 500 race cars since the early 1970s. 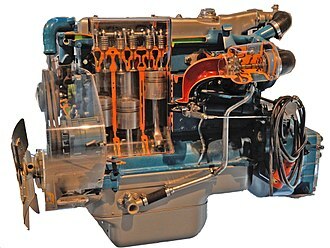 CVTs were banned from Formula 1 in 1994 because of concerns that the teams would dominate if they managed to create a viable F1 CVT. More recently, CVT systems have developed for go-karts and have proven to increase performance. The Tomcar range of vehicles utilizes the CVT system. Some drill presses and milling machines contain a pulley-based CVT where the shaft has a pair of manually adjustable conical pulley halves through which a wide drive belt from the motor loops. A coupling is a device used to connect two shafts together at their ends for the purpose of transmitting power. 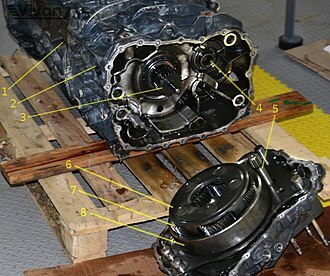 Couplings do not normally allow disconnection of shafts during operation, however there are torque limiting couplings which can slip or disconnect when some torque limit is exceeded. The primary purpose of couplings is to two pieces of rotating equipment while permitting some degree of misalignment or end movement or both. By careful selection and maintenance of couplings, substantial savings can be made in reduced maintenance costs, shaft couplings are used in machinery for several purposes. 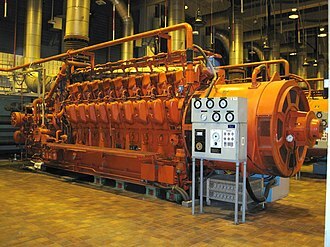 The most common of which are the following, to transfer power from one end to another end. To provide for the connection of shafts of units that are manufactured separately such as a motor and generator, to provide for misalignment of the shafts or to introduce mechanical flexibility. To reduce the transmission of shock loads from one shaft to another, to alter the vibration characteristics of rotating units. To connect driving and the driven part slips when overload occurs Clamped or compression rigid couplings come in two parts and fit together around the shafts to form a sleeve and they offer more flexibility than sleeved models, and can be used on shafts that are fixed in place. They consist of short sleeves surrounded by a perpendicular flange, one coupling is placed on each shaft so the two flanges line up face to face. A series of screws or bolts can be installed in the flanges to hold them together, because of their size and durability, flanged units can be used to bring shafts into alignment before they are joined together. Rigid couplings are used when precise shaft alignment is required, shaft misalignment will affect the performance as well as its life. Examples, A sleeve coupling consists of a pipe whose bore is finished to the required tolerance based on the shaft size, based on the usage of the coupling a keyway is made in the bore in order to transmit the torque by means of the key. The first half of the 19th century saw great progress in steam vehicle design, and by the 1850s it was viable to produce them on a commercial basis. 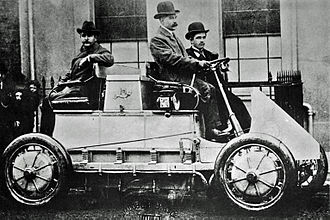 This progress was dampened by legislation which limited or prohibited the use of powered vehicles on roads. 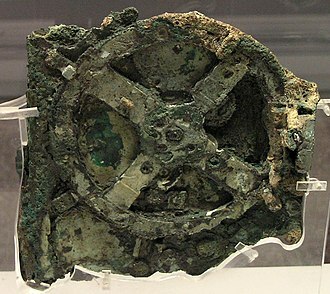 Nevertheless, the 1880s to the 1920s saw continuing improvements in technology and manufacturing techniques. Many of these vehicles were acquired by enthusiasts for preservation, in the 1960s the air pollution problems in California gave rise to a brief period of interest in developing and studying steam powered vehicles as a possible means of reducing the pollution. 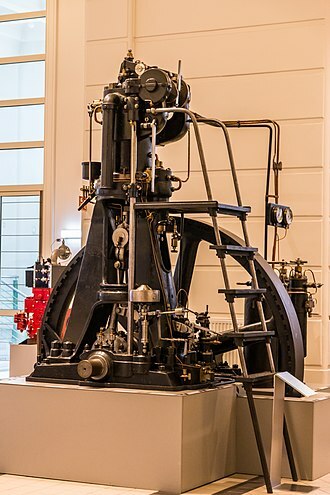 Apart from interest by steam enthusiasts, the occasional replica vehicle, the size reduction necessary for road transport meant an increase in steam pressure with all the attendant dangers, due to the inadequate boiler technology of the period. 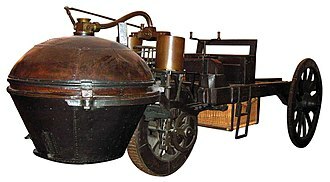 Ferdinand Verbiest is suggested to have built what may have been the first steam powered car in about 1672, during the latter part of the 18th century, there were numerous attempts to produce self-propelled steerable vehicles. 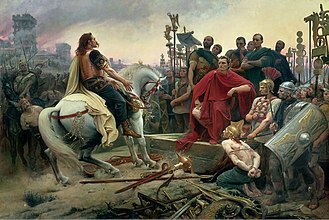 Many remained in the form of models, the extreme complexity of these issues can be said to have hampered progress over more than a hundred years, as much as hostile legislation. Nicolas-Joseph Cugnots machine à feu pour le transport de wagons et surtout de lartillerie was built from 1769 in two versions for use by the French Army and this was the first steam wagon that was not a toy, and that was known to exist. Cugnots fardier, a term applied to a massive two-wheeled cart for exceptionally heavy loads, was intended to be capable of transporting 4 tonnes. 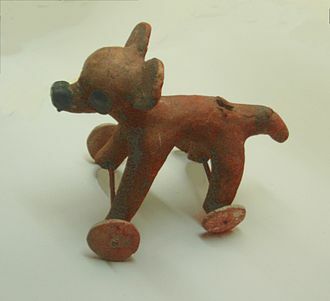 The vehicle was of tricycle layout, with two wheels and a steerable front wheel controlled by a tiller. It was reported as weighing 1520 kg fully loaded, with a speed of 14.5 km/h on the flat, during its first trip it was left unattended and self-destructed. Trevithick soon built the London Steam Carriage that ran successfully in London in 1803, in 1805 Oliver Evans built the Oruktor Amphibolos, a steam-powered, flat-bottomed dredger that he modified to be self-propelled on both land and water.